Come stay and play right where the action is! This darling condo unit is conveniently located only 400 feet from the Angel Fire Resort ski-slopes. 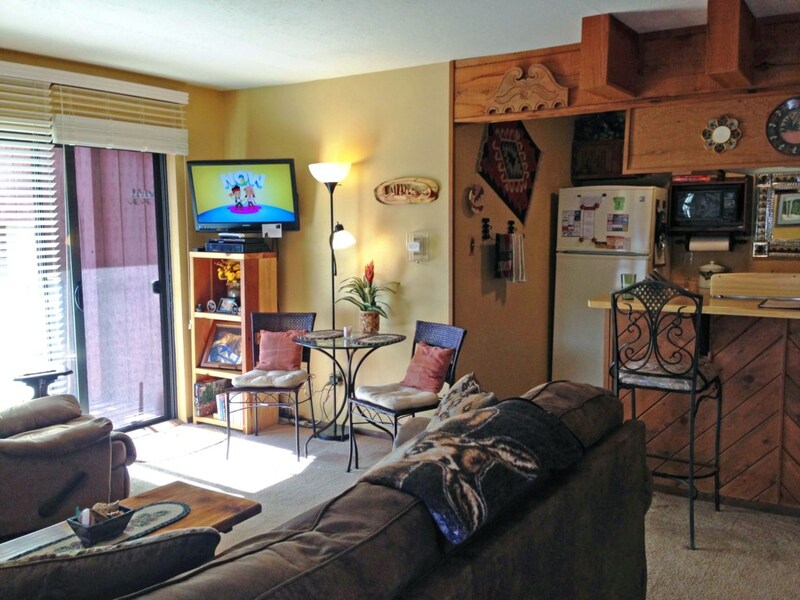 It features a cozy gas fireplace, two flat screen TVs, Wi-Fi, clothes washer and dryer. Also included is DirecTV with DVR and ON-Demand. For the sports enthusiasts, DirecTV ESPN Full Court Package is available December thru April. All that with easy access - NO STAIRS! Great Views! This unit has one queen bed and one sleeper sofa. Conveniently located only 400 feet from the Angel Fire Resort ski-slopes.